The Gugulethu Seven Memorial, situated in the township of Gugulethu (which means 'our pride'), consists of seven solid and powerful granite statue like constructions and is dedicated to the brutal death of seven young men by the police in 1986. It was early in the morning on 3 March 1986 when seven young black activists from the Cape Township Gugulethu were ambushed by the South African Police. They were shot dead in the streets. Years later, during the Truth and Reconciliation Commission, two of the police officers involved in the murders stated that they did what they did because of the suspicion that the young men had planned to attack a police van. The officers got amnesty, to the frustration of many inhabitants of the Gugulethu Township. The impressive monument was unveiled in March 2005, on Human Rights Day in memory of Mandla Simon Mxinwa, Zanisile Zenith Mjobo, Zola Alfred Swelani, Godfrey Miya, Christopher Piet, Themba Mlifi and Zabonke John Konile. The first monument built in honour of the Gugulethu Seven was rejected by the community, and can still be seen in the 'backyard' of the police station. Something that is quite special is to do the Journey of Remembrance, a unique tour ex-MK veterans, now working for the Direct Action Centre for Peace and Memory (DAC). Read our feature on the Journey of Remembrance. 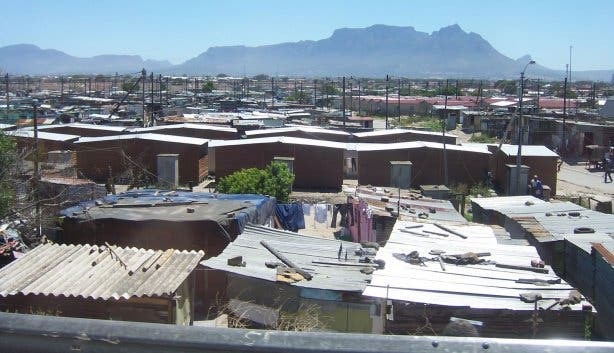 The Gugulethu Seven is one of the highlights of the township tours organised by Cape Capers, a great tour operator that promotes sustainable and responsible (township) tourism. Subscribe to our free Editor's Picks Newsletter to learn more about township tourism, social projects in South Africa, events, unique images, great music, and interesting information and stories on Cape Town and the rest of South Africa.